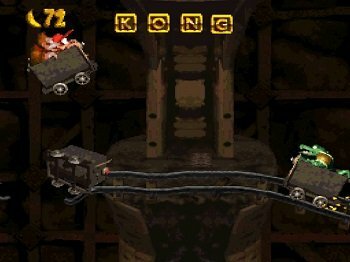 Do you need cheats + codes for Donkey Kong Country on the Super Nintendo? Your in luck as this page contains all the cheats and codes you will need. 50 lives – The first cheat I am going to show you is how to start the game with 50 lives. When you get to the “Select a game screen” highlight “Erase Game” then press B, A, R, R, A, L. You will hear the special area sound which means the cheat has been activated. Start a game and you will have 50 lives ***Extra Lives*** Go back to the first level and use the spin jump to jump on to the trees at the start of the level, you will be able to get 5 lives easy, as soon as you have the lives press start then select to exit the level and then repeat the process. Unlimited Extra Lives – For unlimited extra lives Go to the millstone Mayhem level, and make sure diddy kong is selected then go right, when you see the crusher run left and jump on the wall at the start of the level. When the crusher gets closer slide off and hold down b and left on the d pad. You will now get an extra live for every time you jump on the crusher. This is not really a Donkey Kong Country SNES Cheats but its good to practice these bonus rounds. Practice Bonus Rounds – To Practice Bonus Rounds When you see Kranky Kong press down, y, down, down, y, the cheat will be activated when you hear the special area sound. 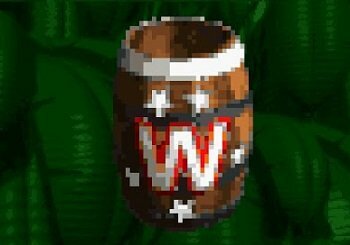 Shortcuts + Barrel Warps – In certain levels there are shortcuts or special barrel warps that you can use to help you reach the end of level quicker and easier. In this video I will show you how to access them for the below levels.